here are my fanta stick pics. cool stick Lee, reminds me a little of the tournament SFIV stick. Does the calendar come with it? wow - that fanta stick is defo huge! no wonder you got caught on tax,no chance of that box slipping through un noticed! my hori wireless one just turned up and its roughly the same size as a neo stick and bout an inch thick.buttons seem light but will see how it stands up to hammer later on, it looks ok for the price. cool i am also new to the PS3 thanks to KOF XIII what is you ID , maybe we can play a few rounds and I can get use to my stick more. my id is cazcounty ive just had a go with new stick and had a few issues as in wouldnt move forward in a fight for a few secs at a time (letting me get trounced yet again!) im hoping its the batteries as it says dont use rechargables and thats all ive got till later. 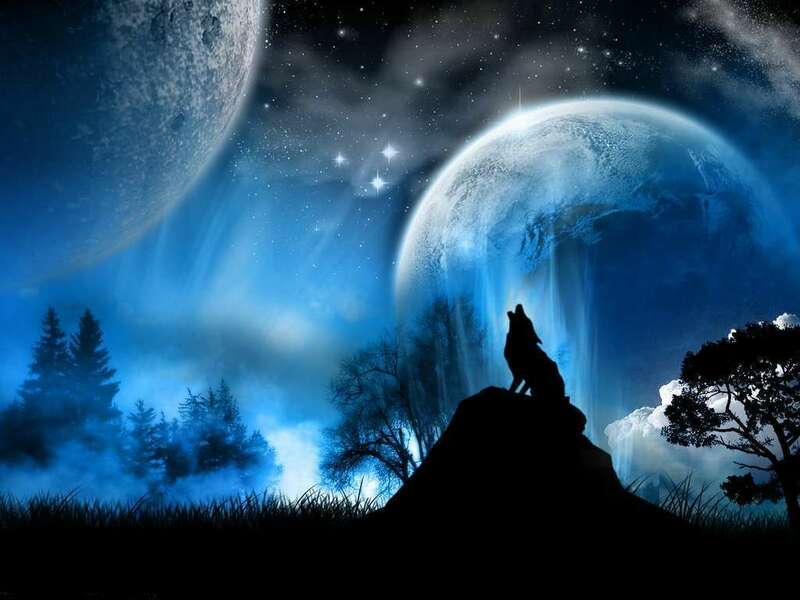 just set up the buttons like the neo pad so need to get used to it again now aarrrggghhh. i need to move on from the AOF thing i think. The long awaited Patch 1.02 has finally arrived for all PS3 region versions (360 patch will be released soon as well)! The best part about it is that the 3rd party USB-controller issue finally has been fixed, I tested it today with the NG Stick 2 and it worked flawlessly! Of course most players expect a better netcode from this update, I played a few rounds with quite a good connection (but it's hard judge the improvement by now). Now that you can filter the connection quality before starting Ranked Matches, only players with the bars you actually want can connect with you. That makes the Ranked Matches much more enjoyable, believe me. Read this interview from SNKP this is good news. Anyone wants to play? PS3 version. good to see you around buddy. I'm planning on no life-ing on KOF like I used to............. So if to this present day you're playing and all, I'm available. After reading that interview I actually have hopes of seeing a new Fatal Fury game. Although I love KOF it would be nice to see something else released from SNK. The Fatal Fury series brings back found memories from my youth. 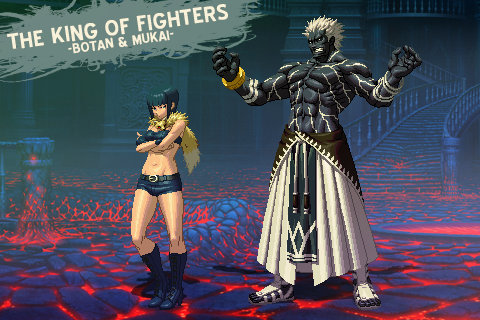 That sprite is actually a part of some trading card artworks for the iOS version of KoFXIII. 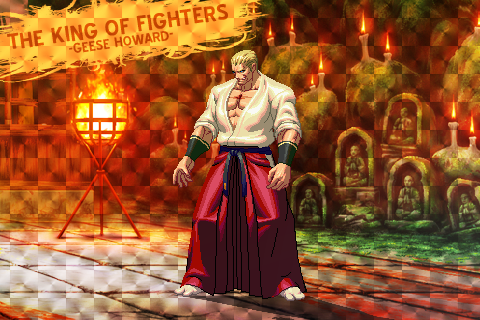 Also sprites of Geese Howard, Oswald, Shion, Magaki, Ignitz (! ), Orochi, Rose, Adelheid, Shroom, Rimelo, Botan, Mukai, Momoko, Shingo and Whip have showed up. Some of them were already released a few months ago in the KoFXIII blog and these were only concept arts for possible DLC characters. 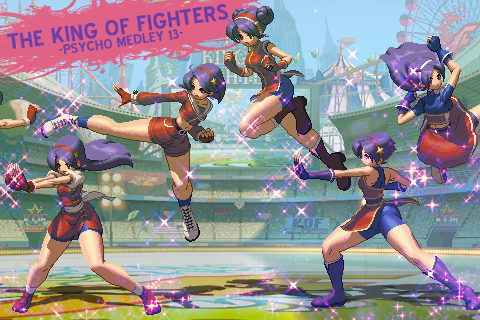 I doubt SNKP will release these as complete DLC characters for KoFXIII, but I'm sure they will keep these for a next KoF installment. Maybe a Dream Match like '98 and '02? So i was wondering how many units did this game sold till now from the first day of release ? Thanks but i don't quite understand the numbering 0.25? 0.55? what does that tell me?